The questions below are some we often get. Hope you find the info useful! Any other questions or for additional info, contact Mike Richardson at 859-420-2426; or email, info at luv2swingdance dot com. Where can I learn to swing dance? Learn to Swing Dance with the Hepcats – let Mike & Mary put the swing in your step! Looking for a fun activity, wanting to meet new people, explore a new hobby or just stay in shape – swing dancing is for you! Why learn from Mike & Mary? 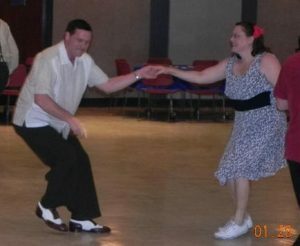 Mike & Mary Richardson have taught swing dancing for over 19 years. They don’t just “dabble” in swing dancing: they love the dances, and they study the dances. They believe learning to swing dance is a journey, not a destination. 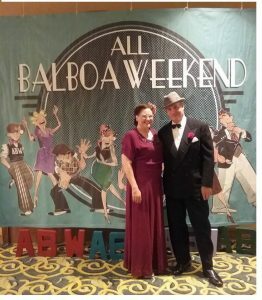 They often travel to out of town workshop events such as the All Balboa Weekend (ABW), Camp Hollywood, Lindy Focus, the International Lindy Hop Championships, etc…. to take classes, private lessons and compete to further hone their skills. They are the most knowledgeable swing dance instructors in the Lexington/central Kentucky area, and are passionate about sharing all the great things about swing dancing and swing music! Mike & Mary have taught literally thousands of people to swing dance – and they can teach you – just give it a try! (1) Group classes. The Hepcats normally teach group classes in the Sep./Oct./Nov. and Jan./Feb/Mar. time frame. Keep an eye out on the Hepcats classes web page for up-to-date info. (2) Want to learn right away and at a much faster pace? We also offer Private Lessons. Private lessons are an excellent way to learn how to swing dance. A big advantage of private lessons is that you get individual attention from working one-on-one with the instructors and you’ll progress at a much faster pace. Private lessons may be arranged for individual dancers or couples. Contact Mike Richardson at 859-420-2426 or info@luv2swingdance.com for more info. Mike & Mary specialize in the original swing dances of the 1930’s and 40’s big band swing-era: Lindy Hop and Balboa! Lindy Hop is the original swing dance that developed in the Harlem district of New York City in the late 1920’s and early 30’s. With influences that originated in the Charleston, traditional West African dance styles, and a variety of European social dances, the Lindy Hop included not only partner dancing, but also individual solos and line dancing. Lindy Hop quickly spread all over the U.S. and overseas, influencing and reflecting the development of many regional styles of swing dance. 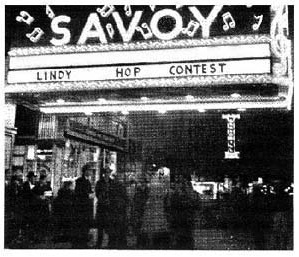 Lindy Hop is the grandfather of all swing dances, and eventually evolved into many other variations, to include West Coast Swing, Boogie Woogie, etc. But like many things in life, the original is still the best! Balboa. What’s that cool dance where people shuffle their feet to fast (and even really fast!) swing music as they slide and glide on the dance floor? Balboa is the dance! To be a well-rounded and versatile swing-era swing dancer, you should learn – and embrace – Balboa! Tradition holds that Balboa was developed primarily in the Southern California/Los Angeles area in the 1930′s, as a result of very crowded dance floors in ballrooms. The dance was named after Balboa Island in the Newport Beach area which was the location of the Rendezvous Ballroom. The dance is known for its closeness, fast and fancy footwork and effortless looking flow and an overall look optimized for fast swing music. By the mid 1930′s, it was not unusual for ballrooms to host dances for 3,000 or more people. As ballrooms became more and more crowded, dances like the Charleston and the Lindy Hop became less practical; some ballrooms even instituted “no breakaways” policies to prevent injuries. After a while some of the original Balboa dancers grew tired of doing just pure Balboa and started to introduce fancier variations which forced the close connection to be broken. Today, this is sometimes called Bal-Swing. In this form anything goes: spins, turns, dips, tricks, slides, etc. Bal-Swing variations keep the overall style, feeling, and framework of the original dance with recognizable Balboa footwork. One call or email does it all! Contact Mike Richardson at 859-420-2426;or email: info at luv2swingdance dot com for more info on how you can get started in swing dancing! Note: while Lindy Hop and Balboa are our specialties, we are also very adept in other forms of swing dance, to include Collegiate Shag and 1920’s Charleston. Why learn to swing dance with Mike & Mary? You’ll learn from award winning instructors with the proven knowledge, experience and expertise to get you out on the dance floor, looking cool and having fun! Mike & Mary have taught literally thousands of people to swing dance, and we can teach you – give it a try! 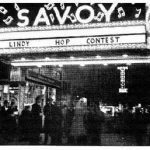 What about Mike & Mary’s promotion of Lindy Hop and Balboa in Lexington/Central Kentucky? Teaching the original swing-era dances, Lindy Hop and Balboa, to literally thousands of people. It’s a real joy to see the moment when the “light comes on” for a new student; or when a “step, step, rock step” swing dancer takes the challenge to become a Lindy Hopper; or when someone discovers the unique and dynamic nature of Balboa! Providing swing dances in Lexington at venues where people can dance to the great music of the swing era. Collaborating with the University of Kentucky (UK) School of Music to provide music for big band swing dances from authentic swing-era arrangements. 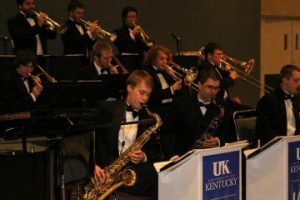 One of two ensembles provide the music for these events: (a) the Kentucky Jazz Repertory Orchestra (KJRO), consisting of the finest and most talented faculty, alumni and musicians from Kentucky area colleges and universities; or (b) the UK Jazz Ensemble (UKJE), consisting of the most talented students in the award winning and nationally recognized UK Jazz Studies Program. The dancers obviously benefit from these events, but so do the musicians as they get a chance to see authentic Lindy Hop and Balboa danced to the great music they play. Not many (if any) communities the size of Lexington have swing dances with such talented big band orchestra’s providing authentic, swing-era music! 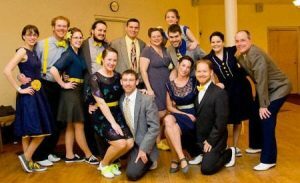 The establishment of Lindy Hop performance groups to elevate the level of swing dancing in Lexington and central Kentucky. These performance groups have experienced success at regional and national level competitions and events. And most of those dancers got their start with Mike & Mary and the Hepcats! Collaborating with other organizations in Lexington/central Kentucky to bring high quality swing dance events to Lexington, i.e. Swingin’ on Short, Lexington’s annual street dance. Mike & Mary have assisted with this event for the past 16 years. Mike is responsible for selecting the band that provides the music, and Mary is one of the judges for the dance contest. Sponsoring one day and weekend workshops, some featuring national and regional level Lindy Hop and Balboa instructors. Once again, thank you for your support of Mike & Mary and the Hepcats, and see you out on the dance floor! What kind of music will you hear at a Hepcats-sponsored swing dance event? We can confidently say that no dance organization in Lexington enjoys as much great music at it’s events as the Hepcats! Mike Richardson is the DJ for many Hepcats events. He is a well known swing dance DJ, respected for his thorough knowledge of swing-era music, genres and styles. His love of swing dancing naturally meshed with his love of the great music of the swing-era. Mike has DJ’d at numerous local, regional and national level events in Louisville, Cincinnati, Columbus and Chicago. 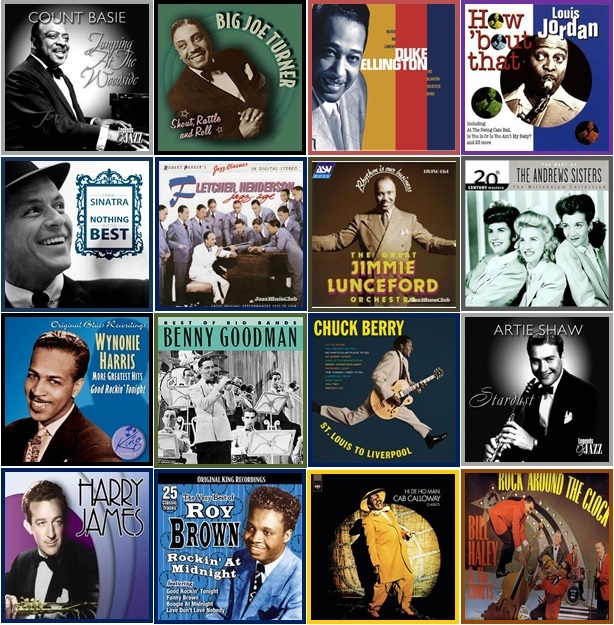 For DJ’d dances, Mike likes to play that great music that’s really fun for swing dancing for Lindy Hop and Balboa, to include Big Band, Jump Blues, etc… at a variety of tempos from his collection of over 11,000 swing-era songs! 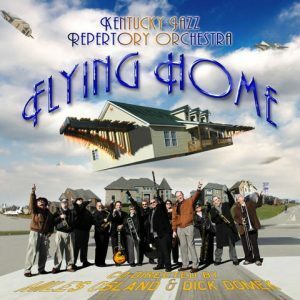 For live music venues, the Hepcats only collaborate with high quality musical groups that know how to, and like to play for, swing dancers, such as: the Kentucky Jazz Repertory Orchestra (KJRO), the Univ. of Kentucky Jazz Ensemble (UKJE), the Walnut Street Ramblers, Keith Jones and the Makeshifts, Blair Carman and the Belleview Boys, Neon Swing X-perience, the Rally Cats, the Cigar Store Indians, to mention just a few. Come on out to any of the Hepcats swing dances with live or DJ music: we think you’ll like the music! 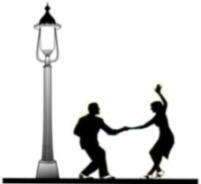 For more info on swing dance music, click here. The Hepcats sometimes have collaborations with the University of Kentucky (UK) School of Music, with either the Kentucky Jazz Repertory Orchestra or the UK Jazz Ensemble providing great music! These Big Band Swing Dances are one of the most anticipated dance events in the Lexington/central KY swing dance community. The Hepcats are also one of the sponsors for Swingin’ on Short, Lexington’s annual street dance (normally takes place in early June of each year). Check out the Hepcats dances or calendar page for info on events with live music. Click here for more info on the great music you’ll hear at Hepcats events. No, absolutely not! Swing dancing is a social activity. Many people come to swing dances without a dance partner. Those who do come with a dance partner usually dance with other people as well. It’s perfectly acceptable in the swing dance community for a girl to ask a guy to dance, and of course, vice versa. So don’t be shy – ask someone to dance! Swing dancing is fun, but safety is also very important! The basic rule for aerials/air steps is that they should never be performed on the social dance floor, but saved for competitions and performances. An exception is a “Jam Circle” (assuming you have the technique and skill set to perform aerials in a jam circle). In a jam circle, a circle of spectators is formed and swing dancers enter the circle one couple at a time, showing the spectators their best “stuff”. In this environment, innocent people/bystanders would not be able to wander into the path of dancers performing aerials/air steps. In addition and very importantly, aerials/air steps should only be attempted with a regular dance partner; in other words, don’t try to attempt an aerial/air step with a partner that you’ve only danced with a few times (or less) socially. Want to learn aerials/airsteps? It’s best to learn aerials/airsteps in a workshop setting, with experienced instructors using spotters and that have the proper equipment, i.e. a proper floor surface and floor mats, etc. Make no mistake about it – aerials/airsteps not performed properly can be dangerous, not only to those trying the move but to innocent people/bystanders on the dance floor. Beware of venues/instructors that allow aerials/airsteps on the social dance floor and during class instruction. Can Mike & Mary help me out with my event: DJ the music, recommend a band, dancing, etc…? Sure can! We can DJ, find a great band, or even dance for you! We can DJ. Tired of the same ole’ music you get from most so called “party” or “professional” DJs? Want music that’s energetic and fun for dancing and listening to? With thousands of songs from the Big Band swing-era, Jump Blues, 50’s rock and roll, Rockabilly, 40’s, 50’s & 60’s Rhythm & Blues, modern swing, etc., Mike Richardson could DJ your next dance, party or event and get toes a tappin’ and feet a movin’! Ask anybody that has attended a Hepcats event: we play and dance to the best music in town! Bands for Dances. How about live music for your next event? Mike & Mary have worked with numerous musical groups at the local, regional and national level. These groups really know how to play, not only for dances but for any event (many of these groups have played for past Hepcats swing dance events in Lexington). These groups include Big Band Orchestras, Jump Blues Bands, Rockabilly Bands, etc. We would be happy to facilitate these groups performing at your event. Let us dance for you. Got a party or an event coming up and want some Swing Dancers to liven, energize, and spice things up? We can help you out – liven up the party or event or just add some atmosphere to the joint! Contact Mike Richardson at 859-420-2426, or info@luv2swingdance.com. (1) It’s fine (and in fact encouraged!) to view vintage video clips as a source of inspiration and for figuring out what you want/need to learn for your Lindy Hop and Balboa (check out this Hepcats web page) – by all means check out the vintage video footage of Hellzpoppin’, Maharaja, etc.. But to take your Lindy Hop/Balboa to the next level, it’s really quite simple. Take classes from the best Lindy Hop and Balboa instructors you can find; develop good practice habits; attend high quality workshops; and get involved in a performance group.